A brand new Modern gem of a home, made the existing pool and pool house feel very outdated. The client needed a pool renovation and an adjacent cabana that would match the home. After giving permission to level the space and start over, we married a perfectly designed cabana to the existing pool by extending it's brick seat wall and punctuating it with a sleek, stylish water feature wall; all compliments of Randy Angell. We married a perfectly designed cabana to the existing pool by extending it's brick seat wall and punctuating it with a sleek, stylish water feature wall. The result was a new home, a new cabana, and a renovated pool that together, felt as though they had all been intentionally designed with one another in mind from the very beginning. A brand new Modern gem of a home, made the existing pool and pool house feel very outdated. 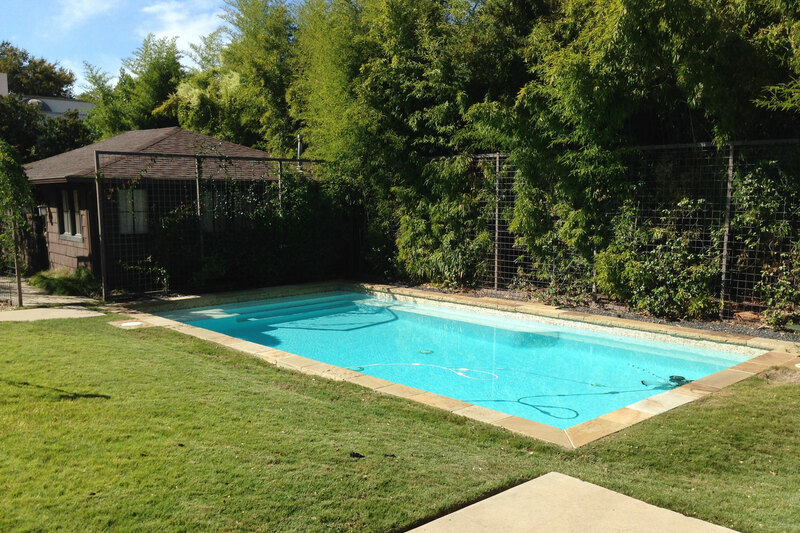 The client needed a pool renovation and an adjacent cabana that would match the home. 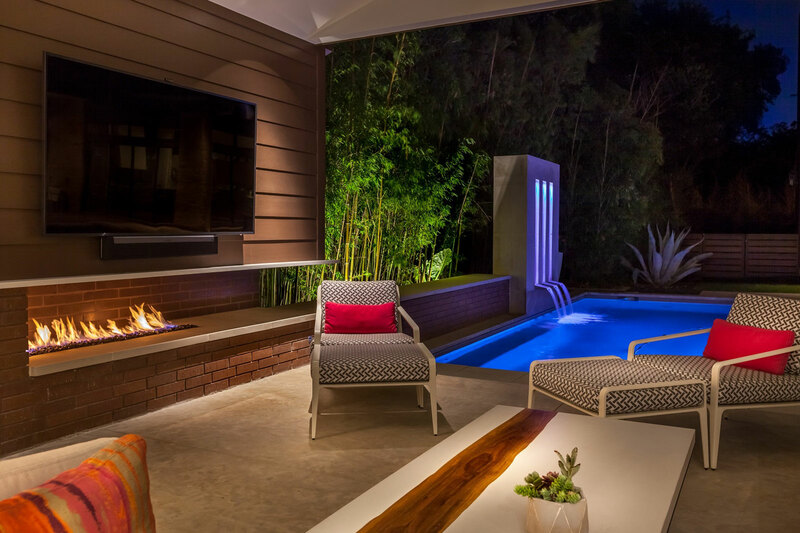 After giving permission to level the space and start over, we married a perfectly designed cabana to the existing pool by extending it's brick seat wall and punctuating it with a sleek, stylish water feature wall; all compliments of Randy Angell. The result was a new home, a new cabana, and a renovated pool that together, felt as though they had all been intentionally designed with one another in mind from the very beginning.